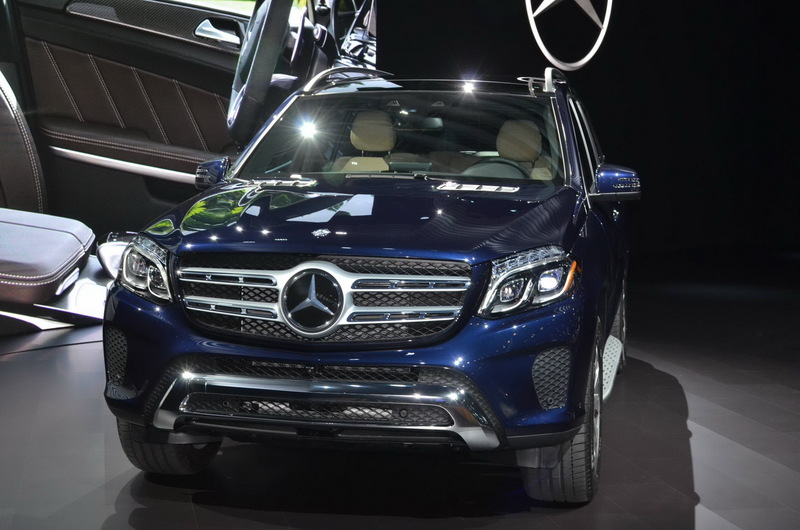 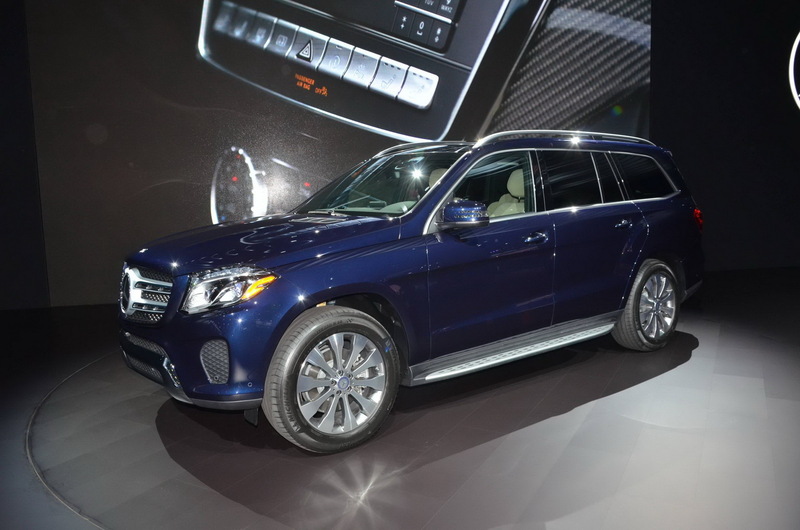 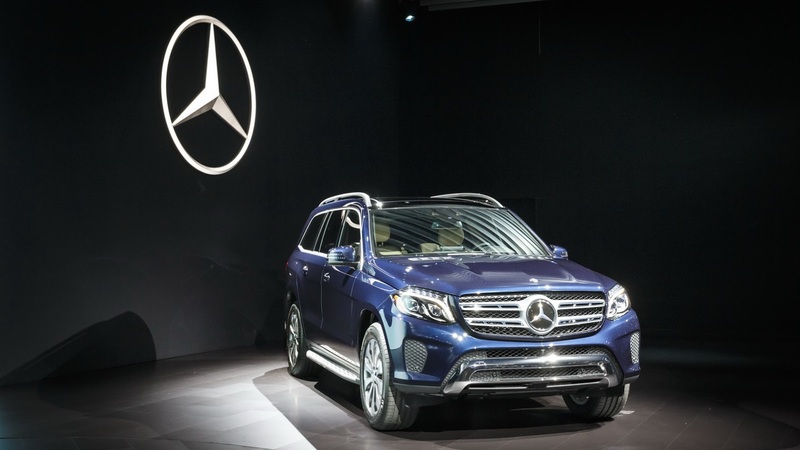 The German car manufacturer’s not-so-new GLS premiered at the LA Auto Show. 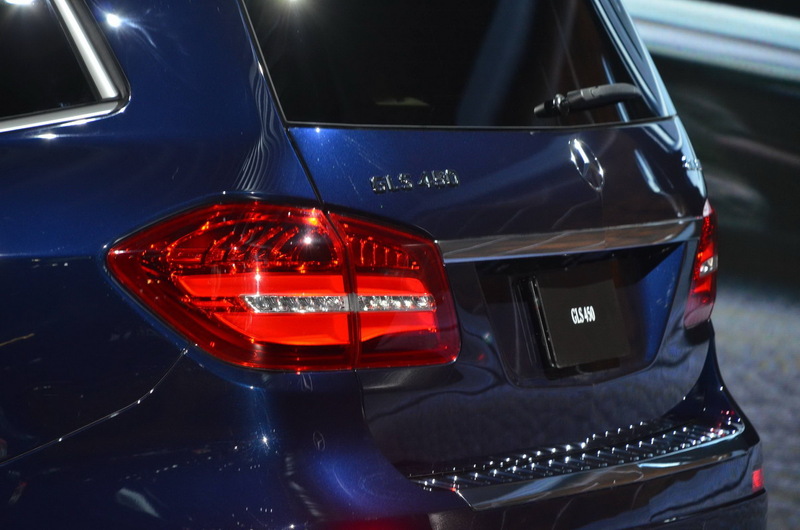 This massive chunk of intimidating metal has a get-out-of-my-way vibe even when showcased on the show’s floor. 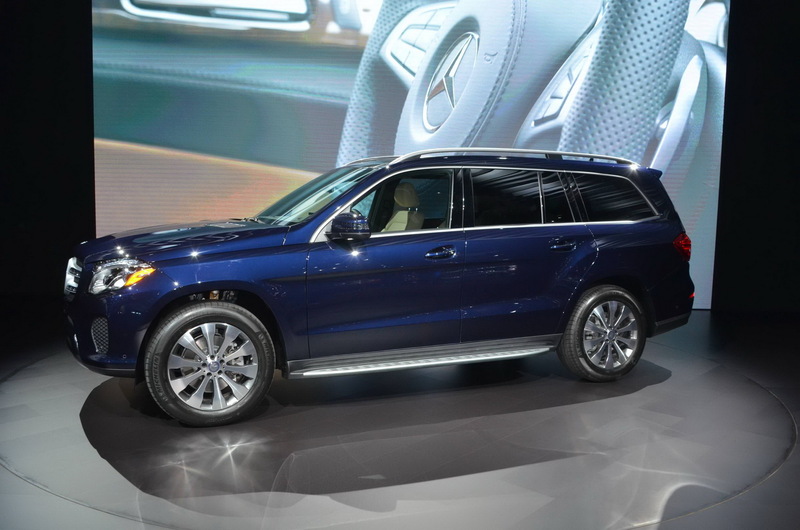 So, just imagine seeing the big chief on the streets or worse, in your rearview mirror. 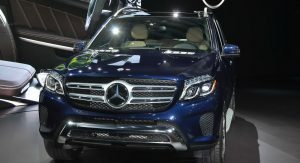 Apart for the obvious tweaked interior/exterior design, the latest model comes with a new nine-speed transmission, a wide array of standard safety and dynamic equipment and an “S” nomenclature attesting its luxurious and opulent style to the high-end “S-Class” brand. 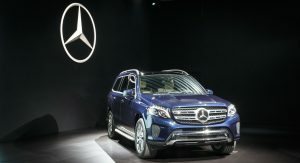 The automobile pictured is a GLS 450 4MATIC, which chugs 357hp and 500Nm (369 lb-ft) of torque out of its 3.0-liter, twin-turbocharged V6 engine. 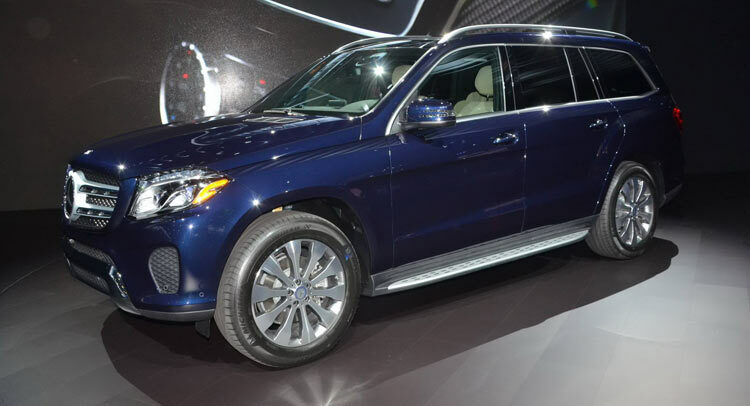 But if you want a little more grunt or even a little less, then you should know that the powertrain line-up for the GLS stretches from the 255 hp entry-level GLS 350d 4MATIC, to the 577hp, 5.5-liter twin-turbo V8 GLS 63 AMG. 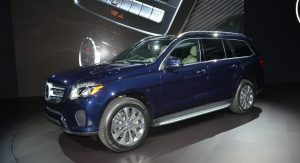 Prices for the GLS (in the UK) start from £69,100 ($105,633) for the entry-level diesel, and £102,330 ($156,432) for the AMG. 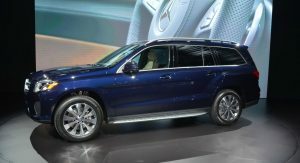 Now, let’s just hope we’ll see a Maybach variant of the GLS in the future as well – that if Mercedes really wants to transform this behemoth into a full-on, luxurious, opulent machinery. 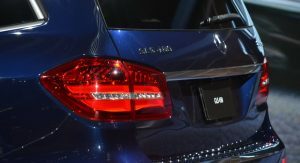 Previous PostPrevious Nissan’s Revised 2016 Sentra Model Showcased In L.A.